Kindly give us your valuable Feedback!! Here you can pen down your opinions! 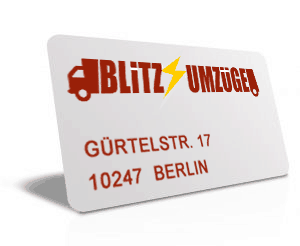 How was your Moving experience with BLITZ UMZÜGE. Your message will - after an exam - be published on our website visible to all. Your e-mail address will not be published in any case.